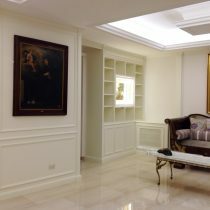 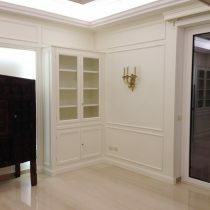 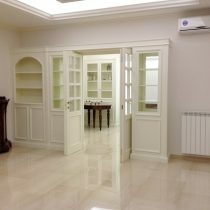 Living area decor with English style dining and living room glazed semi-partition . 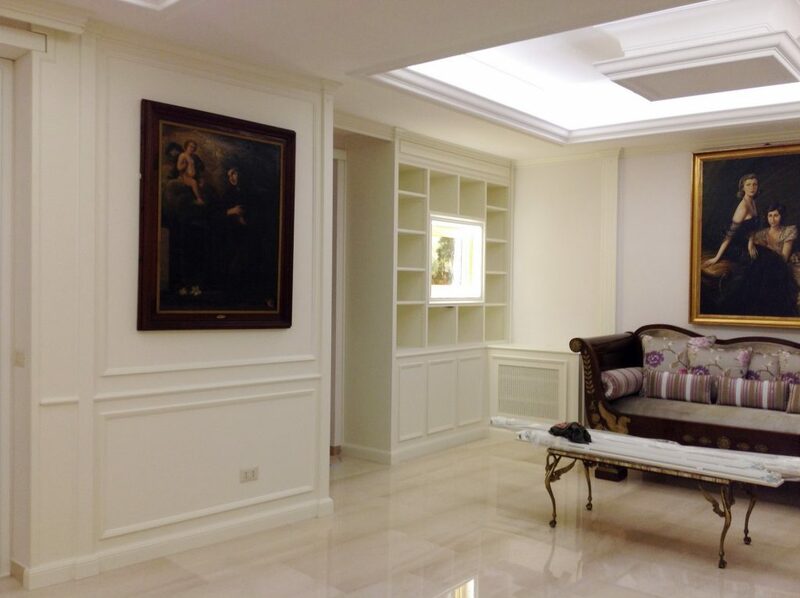 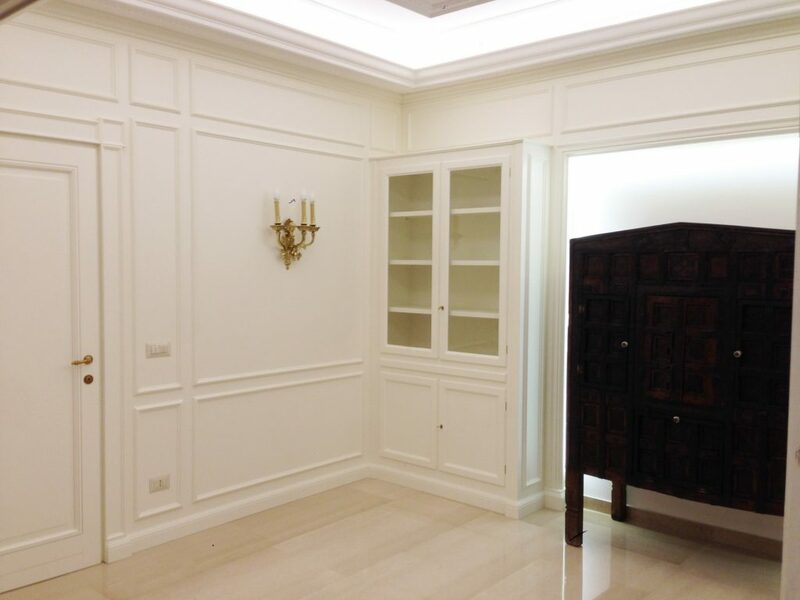 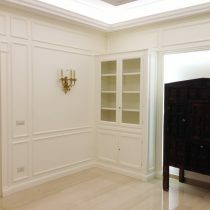 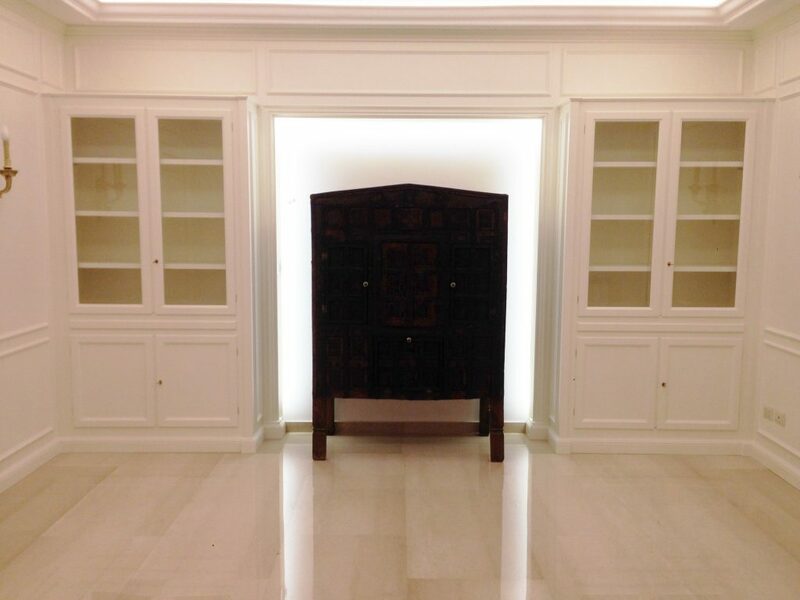 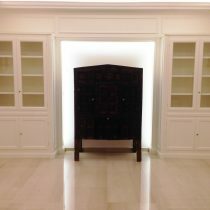 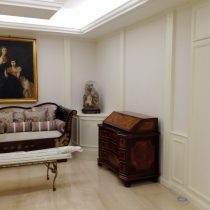 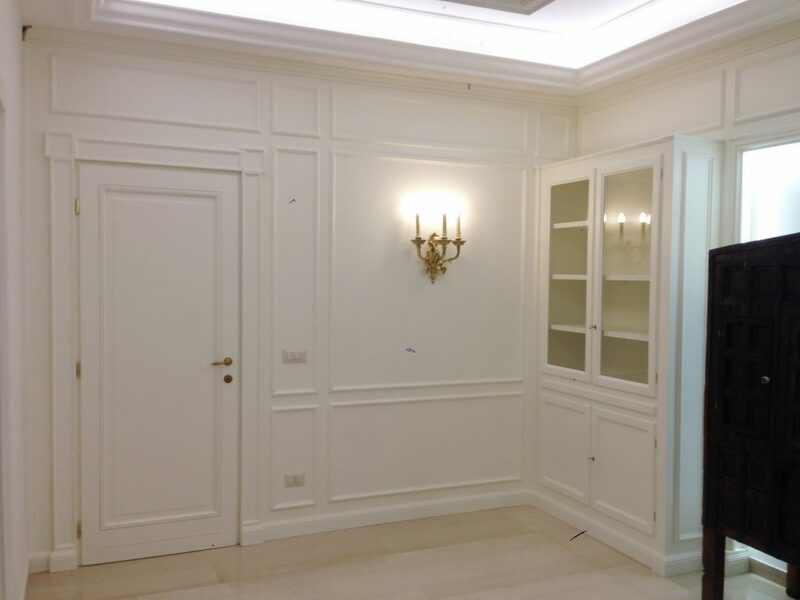 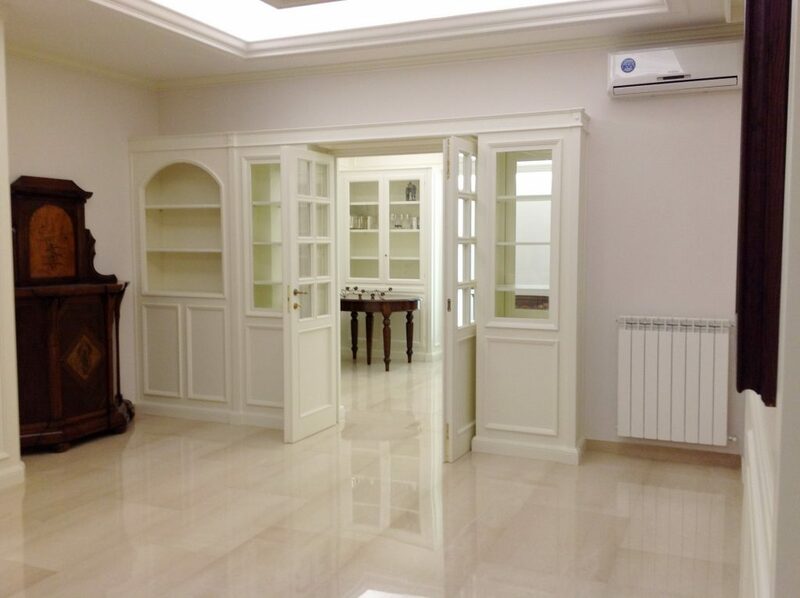 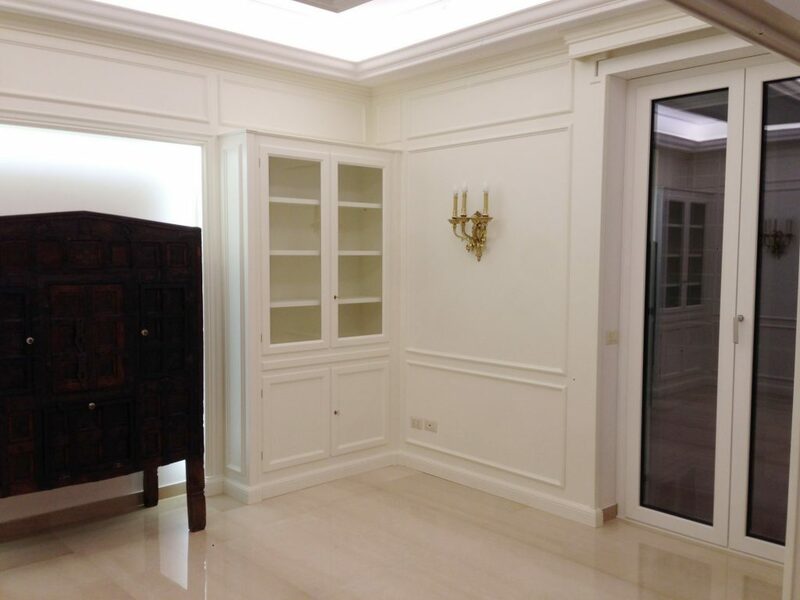 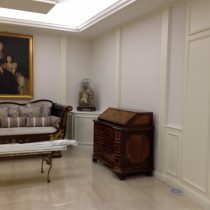 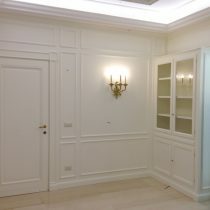 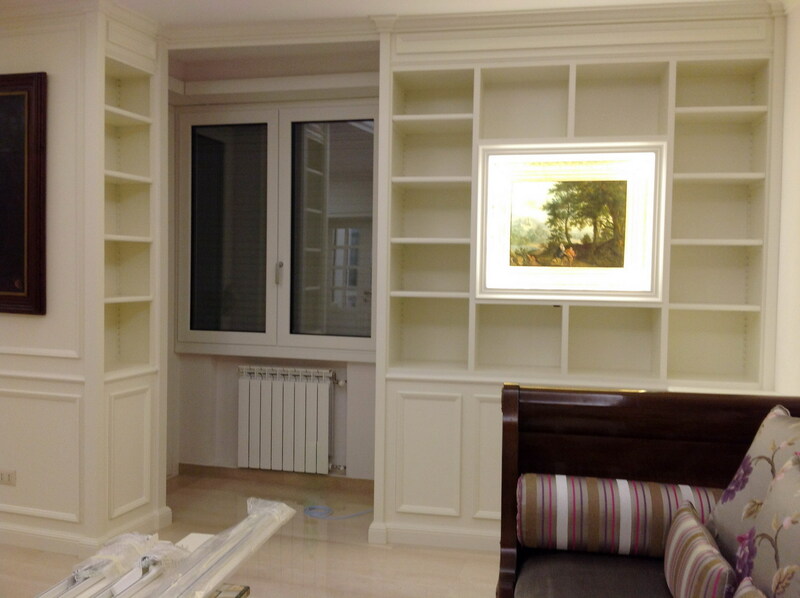 Everything has been designed to enhance the valuable antique furniture and accessories of the property. 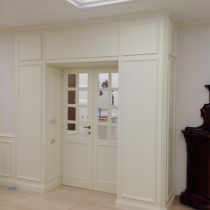 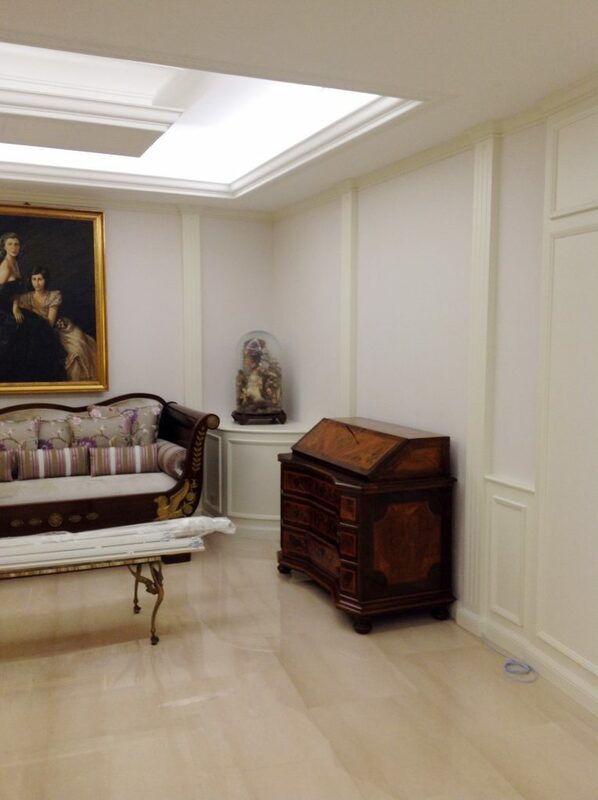 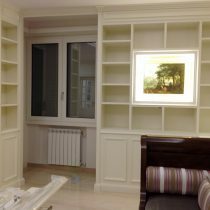 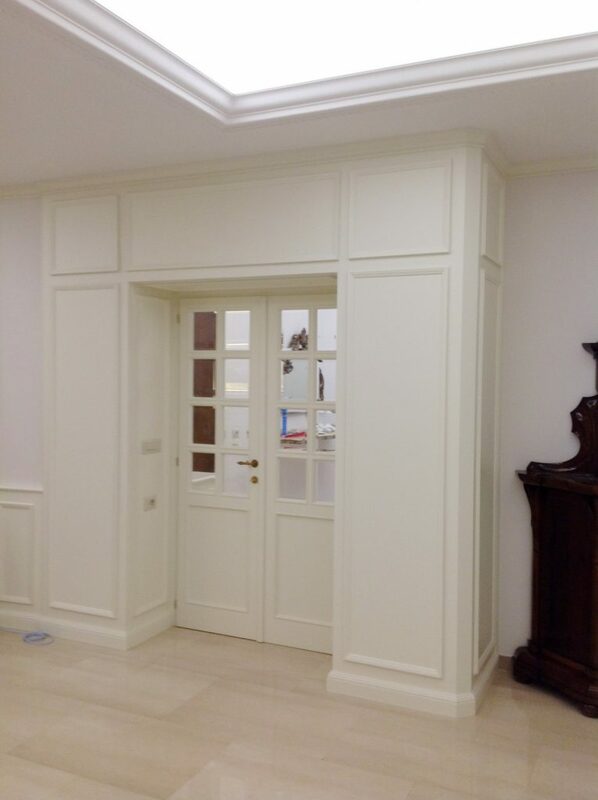 Boiserie and containers have been lacquered in a cream colour specially designed for this environment in order to fully harmonise with the nuances of the floor. 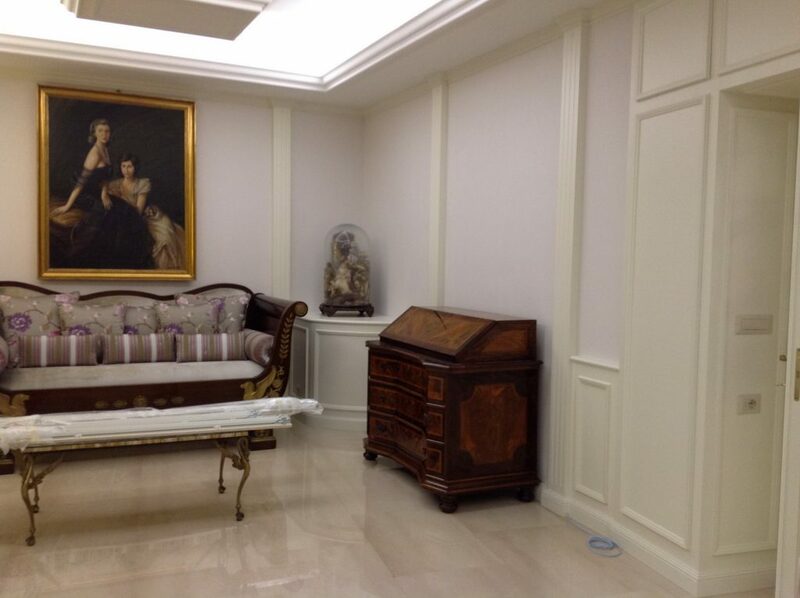 We restored the Empire era sofa and upholstered it with our own exclusive fabrics.